Beautiful hands are a sure sign of a well groomed lady. People notice our hands in many different situation as we use our hands in so many ways. When we meet new people we shake hands, we use our hands to explain things and they are also used as part of our body language. Hands are always noticed by others and will receive compliments if groomed nicely. Treat your hands to my luxury manicure treatment. Start with a nourishing, essential oil infused hand soak followed by cuticle work and a nail shape and buff. 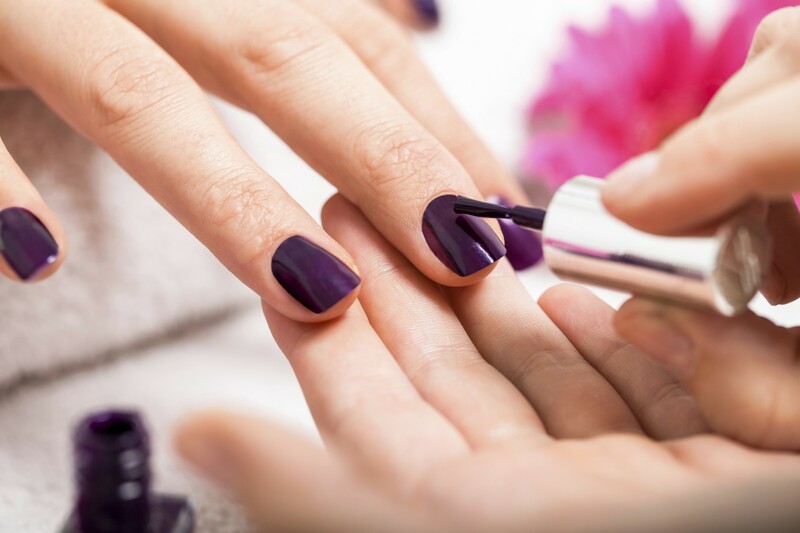 By pushing back and removing the cuticles your nails will appear much longer and cleaner. Your hands and arms will then be buffed with an invigorating citrus peel exfoliation to remove any dry skin on the surface. A nourishing, soothing oil will then be massaged into your skin. This will hydrate and rejuvenate any dry or chapped areas of skin now that the surface dryness has been removed. After all this pampering your treatment will finish with a polish application in a colour of your choice. With busy lifestyles we rarely think to treat our feet. Treating yourself to a pedicure, can be just what you need. You will have beautiful feet to be proud of. Your blood circulation will be boosted leaving your feet feeling lighter and re-energised. You will finish the treatment feeling relaxed and rejuvenated. Your feet carry you around all day long. They are one of the most important parts of our body and yet we constantly neglect them. Wearing unsuitable or tight footwear and poor nail care are just a few of the reasons you should remember to treat your feet. By booking yourself in for a luxury pedicure you will give your feet the treat they deserve. Start your treatment with a nourishing, essential oil foot soak. This is followed by a lower leg exfoliation which melts away in the warm water. once your skin is nice and soft I will buff away any hard skin on the heels and soles of the feet with a foot wrasp. Your cuticles will be pushed back and removed leaving your toes looking even cleaner. To finish this pampering your feet will be massaged with a cooling foot cream to boost circulation and leave your feet with a floating, light feeling. Finally you will choose a colour for your nail polish application to complete your feet transformation. Using a UV light a gel overlay is sealed on top of the nail. Gelish is applied the same as a regular polish with a base coat, 2 coats of colour and a top coat. After each coat the nails are placed under a UV light which sets the polish and seals it onto the nail. This allows you to maintain a perfect, chip free polish for at least 2 weeks. Ideal for holidays, special events or simply as a treat.